So – you want an eco home? We’re never really sure what a client is asking from when it comes to eco homes. So help us out: define what you mean when you say ‘eco home’. Is it a home that is economical to run, using less energy than ‘standard’ homes and ideally generating some of its own energy from the wind or the sun? Is it a home built entirely with sustainable products? Stuff like straw, timber, recycled newspaper, sheep’s wool, recycled glass and anything that was something else before it’s what it is now? Is one of the key components of an eco home thermal mass? How about solar gain? We have a far more down-to-earth approach than most designers when it comes to building an eco home. Whilst all of the things mentioned above are relevant to some extent, many people fail to consider embodied energy – something that really shouldn’t be overlooked if you’re serious about an eco home. Our factories are heated using the waste timber produced during the warmer months. This means our factory heating is carbon neutral. Okay, not something you hear about every day. In fact, it’s something you have probably never heard about before. But if you’re looking into building an ’eco home’ – you need to understand what embodied energy is. When people talk about embodied energy (although it’s not the sort of thing that many people talk about!) they are generally referring to the amount of energy (or carbon dioxide) ‘locked up’ in the material in question. Sometimes it’s referred to as ‘commercial energy’ – in other words the total sum of energy put into the manufacturing and usage of any given product during its entire lifetime. The more energy that is used to make a product and bring it to market (transportation etc.) the more carbon dioxide is used to make that product. 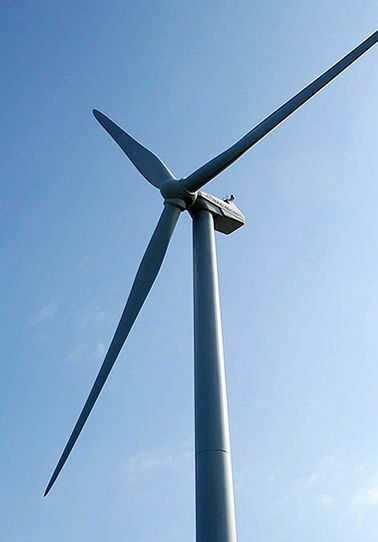 So, it follows that in order for a house to be truly carbon neutral, it must be able to either save the equivalent CO2 that was used in its creation (right down to the manufacturing of the last screw) during its lifetime, or be built using entirely carbon neutral products. The former is becoming more and more realistic, the latter is, frankly, impossible to achieve if one is to be realistic about housing needs. So, if you’re serious about building an as ecologically sound home as possible, the closer to home you can source it the better. A house isn’t really carbon neutral, and not even very eco, if it is built using products that contain a high amount of embodied energy or that are impossible to dispose of and recycle. 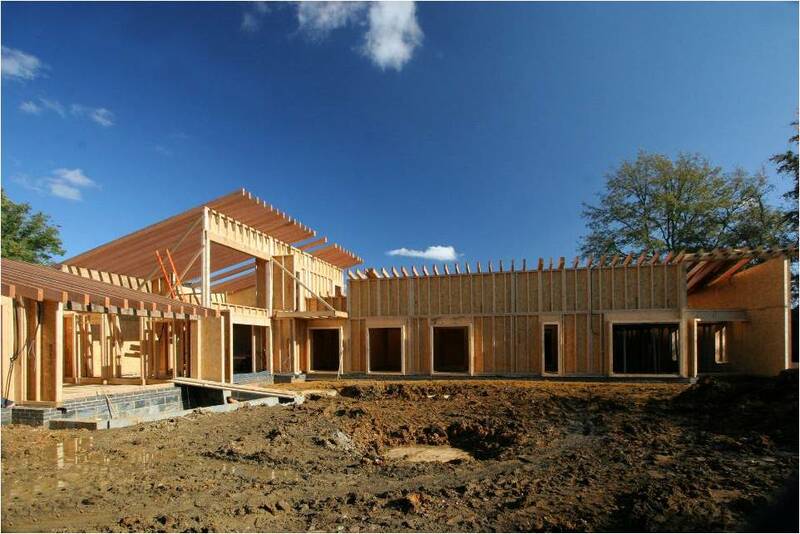 This is why timber frame is a great option – it’s a natural material with low embodied energy. Plus, as trees grow they absorb carbon dioxide and give off oxygen – the opposite of what happens when manufacturing a construction material. So building with timber gives a double-whammy of eco-ness! ’Eco bluffing’ isn’t a technical term – it’s a term we made up ourselves to describe the way that some products are wrongly described (in our view – you have the right to disagree!). Some things that you might think are ‘eco’ just because they appear to offer good sustainable credentials may contain vast amounts of embodied energy (refer to the previous article). It would be inappropriate of us to name any specific products that perhaps contain far more embodied energy than any ‘eco’ product really should (in our view). It might even be illegal for us to mention specific products. But we can probably get away with talking about generic products, like hybrid cars that might have covered more miles in their production than they ever will on the road. Or homes with a high amount of thermal mass (generally considered a good thing) but that are made using a large amount of concrete (generally considered a bad thing). You can probably think of a lot more things that fall under this category. 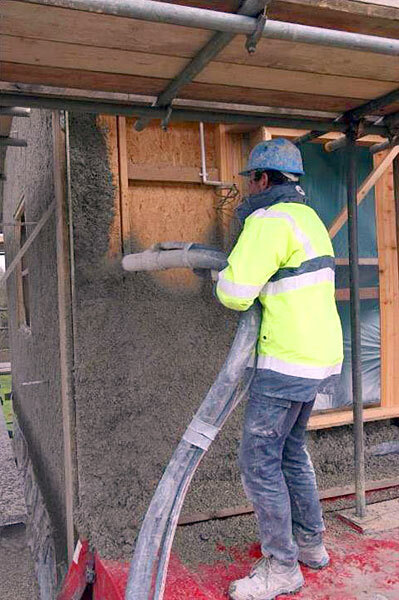 When it comes to building eco homes, we try to consider embodied energy as much as possible. 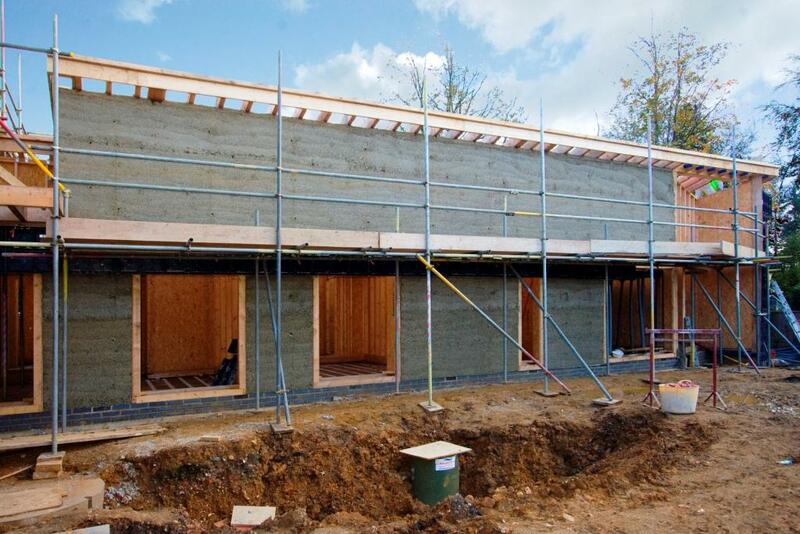 This is why one of our preferred methods of construction is to use hemp, lime and timber. 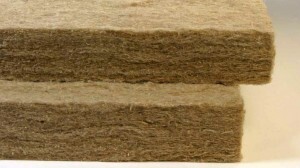 Hemp fibre batts: One of many ways to insulate a timber frame using sustainable materials. Put simply, we can use pretty much any material you like to build your home. Obviously, timber features heavily because we believe that timber frame is the best way to build the structure of your home (lots of reasons – call and ask for Jay if you want to know more). Timber frame allows a huge amount of flexibility in terms of what goes in it to help keep your home warm. If you want to build using sustainable products, you can. If it’s available, we’ll try and find a way to make it work within your budget and within the constraints of Building Regulations. We’ve used sheeps wool, hemp wool, Hemcrete, recycled newspapers, recycled plastic bottles and recycled glass bottles. In short, if you want to be ’eco’ (whatever you think that is) and if you want to use sustainable materials, we can’t think of a bettr way than using timber frame. 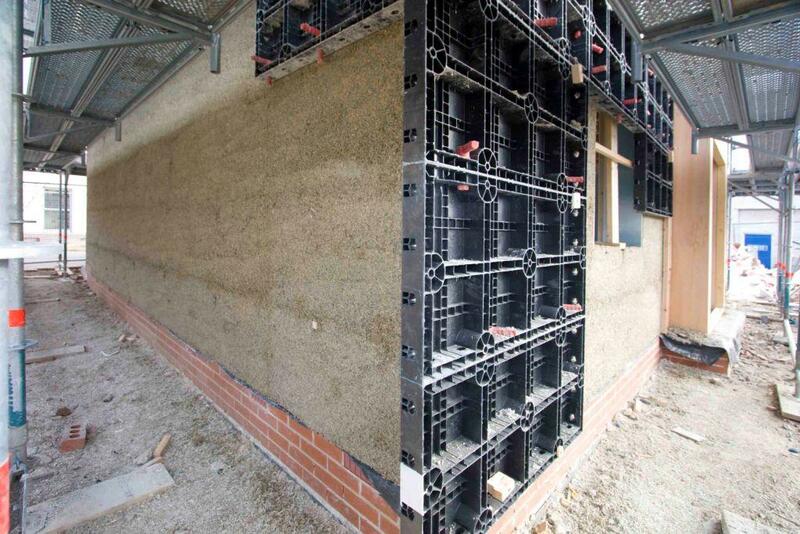 English Brothers were the first company in the UK to design, engineer and manufacture a timber frame designed specifically for use with hemp and lime walling for a self-build.